Title to a film is the most important identification mark. With a title, one can remember and determine what was the film all about and for every Big hero film, it is a must that it celebrate his/her stardom and correspond to the story as well. So normally, even if there are few working titles for Big hero films nothing will be finalized until it is really time and they find the appropriate title. 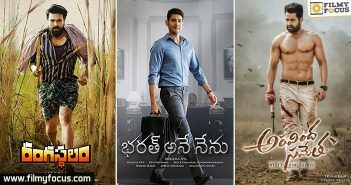 With several big films coming out this year, let’s see how interesting these titles have been..
Sambhavami Mahesh Babu is busy in Malaysia detoxing and having discussions with Koratala Siva about their next film, starting in the April of this year. Before that movie, he has to finish his bilingual movie with AR Muragadoss. 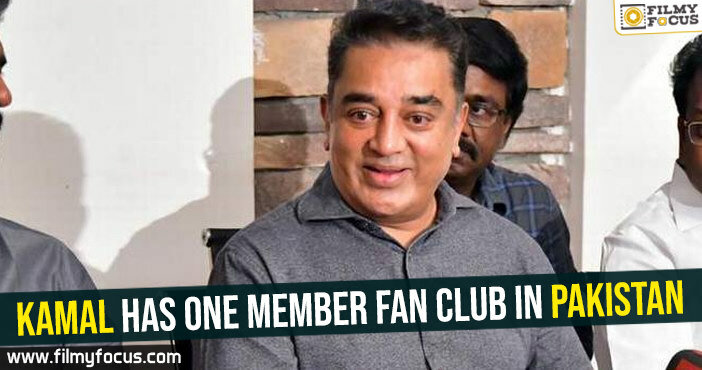 The actor has put in lot of hopes on the movie and wants to strike big this time. The title for this movie has been a big discussion and various titles that heard over the course are Abhimanyu, Agent Shiva, Stun Gun, Vascodegama, Chattam tho Poratam. 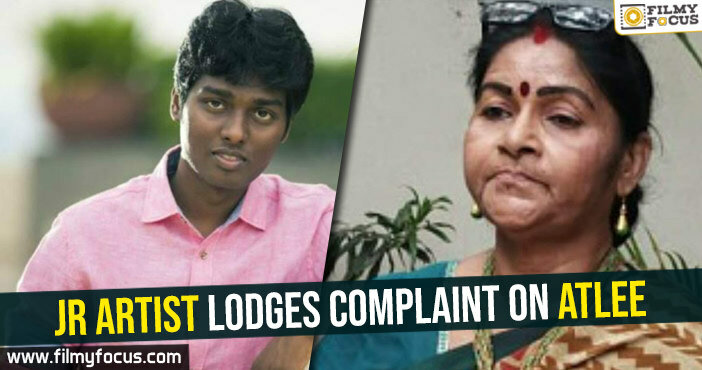 All these have been rubbished by Movie team and now, Sambhavami has been going around in the fan and elite circles. Well, if this title will be finalised or not is yet to be known. Bharat Ane Nenu Staying with Mahesh Babu, his next film with Siva Koratala also has an interesting title with a complete Political theme. 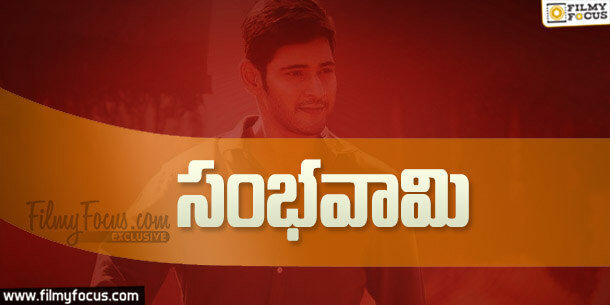 In the movie, Mahesh will represent India as Bharat and will become a Chief Minister of the state it seems. His challenges and road blocks in keeping his promise is the story it seems. The movie is called Bharat Ane Nenu at the moment. Jai LavaKusa Junior Nandamuri Taraka Ramarao, aka Tarak, has been making big news with his latest movies off late. 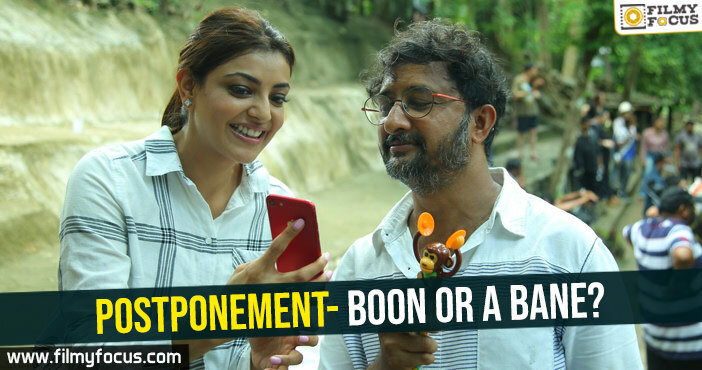 His choices from Temper have been progressively suggesting a change in his approach and even his 27th film to be directed by Bobby has him playing a triple role and the title in consideration is Jai LavaKusa. LavaKusa is the title of his grandfather, NTR’s mythological epic. Devude Digi Vacchina Powerstar Pawan Kalyan is gearing to release two films this year which will be a first for him in his career. With flops or hits he always maintained a year gap between his releases. But with change in his future career plans, he is trying to do as many films as possible before contest the elections. 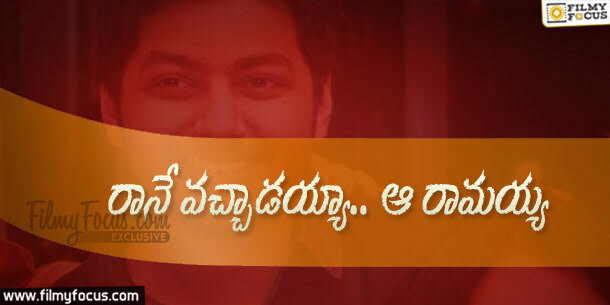 The movie with Trivikram Srinivas that would start from April is allegedly titled, Devude Digi Vacchina. 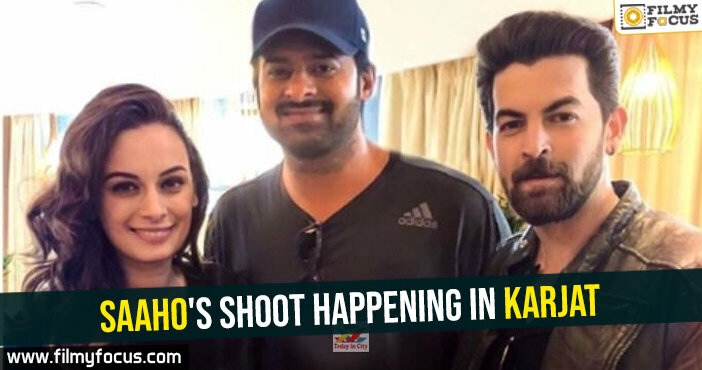 With huge star cast, the film promises to be another Attharintiki Daredi with some difference. 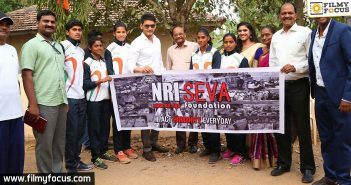 Ninne Pelladutha Naga Chaitanya is looking for one grand success to announce his arrival in the film industry as a Star. 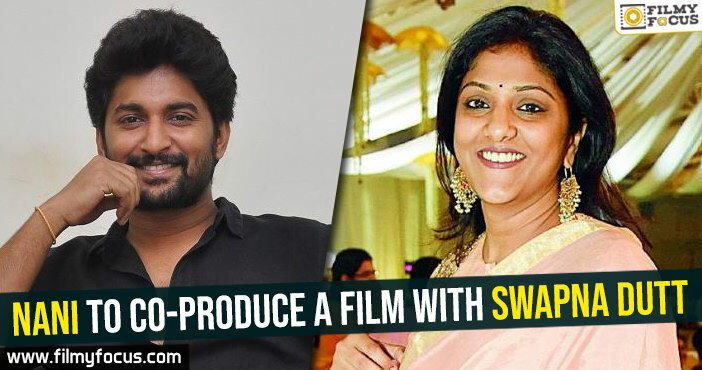 His last films Premam and Sahasam Swasaga Saagipo gave him ample name and showcased his growth as an actor. As Nagarjuna Akkineni wants both his sons to find that huge success he planned a film on the lines of Ninne Pelladutha for Naga Chaitanya with Kalyan Krishna and the movie is also allegedly titled Ninne Pelladutha it seems. Rane Vacchadayya … Aa Ramayya Nandamuri Mokshagna is all set to make his debut this year as the lead. Taking his grandfather and father’s legacy, he will be seen as a young man coming from Village to Town and help his family it seems. Accordingly, Sai Korrapati registered the title, Rane Vacchadayya…Aa Ramayya. The director is not yet fixed for the project. Bullet Hero Gopichand had a forgettable 2016 with his movies postponing and one release becoming a flop. He is waiting for his Oxygen release this year and will be starting B.Gopal movie. 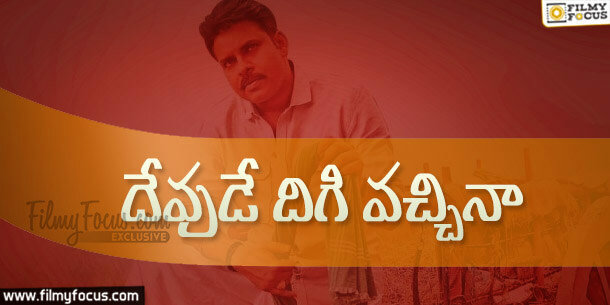 After, B.Gopal will be directing this movie and the title in consideration is Bullet or Bulletlantodu. Rayabhari Few months back, Krrish announced his next with Varun Tej as Rayabhari before shifting to Balakrishna’s 100th film. The movie Gautamiputra Satakarni gave him a chance to explore history further and now he is in plans to revive Rayabhari script but the title might change. 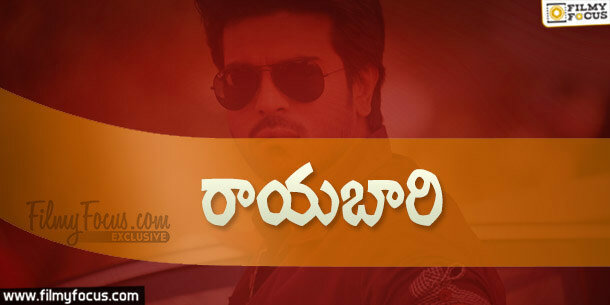 As Sukumar is considering same title with Charan for their film aa per the close sources. 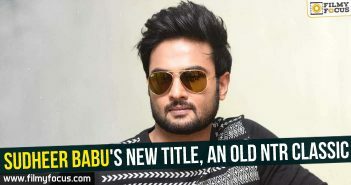 Sudheer Babu’s new title, an old NTR classic!